The airstrikes on Syria, carried out by the United States, the United Kingdom and France in the early hours of April 14, can hardly be regarded as a victory of either side. Their clear demonstrational goals and calculated warnings of the so-called opponents give the impression of some theatricality of the whole operation, although the very concentration of opposing military forces in this region has always been fraught with unpredictable consequences. As for the loser, one can say that this is the entire international community, which, due to this military operation, is further alienated from the joint search for a constructive, rational solution to the Syrian conflict, which would finally put an end to the destructive war. We cannot say that this tripartite blow somehow changed the regional balance of forces. Most of the Arab media did not focus on this event, neither anti-Western demonstrations nor other protest actions followed. This demonstration of power is unlikely to have serious consequences for Israel and its relationship with all parties involved in the Syrian conflict. As for the relations with Russia, Israel has carried out close coordination of actions to prevent military incidents since the beginning of its military operation in Syria in 2015. The Russian leadership and the Israeli government have had regular contacts, used by the Israelis to insistently promote their position on the Syrian conflict: non-interference in the war in Syria, but using all possible ways to counter the increase of Iran’s military presence there, turning Syria and Lebanon into an Iranian military arsenal, preventing arms supplies to Hezbollah. This interaction with Russia never prevented continuation of special relations between Israel and the US: in 2016, under President Barack Obama, a new agreement was signed on an unprecedented increase in the US military assistance to the Jewish state; in 2017, President Donald Trump made a historic statement on the recognition of Jerusalem as the capital of Israel. The confrontation between the West, especially the United States, and Russia, which was aggravated in recent years, did not affect the Russian-Israeli cooperation. There is no reason to believe that Moscow will take any retaliation measures against Israel as an American ally after the attacks against Syria, especially when, according to some information, warnings about the nature and time of this operation were transmitted to Moscow also through Israel. It is much more likely that Israel’s own actions could become the cause of the violation of Russian-Israeli mutual understanding on Syria, which it justifies by the need to prevent threats to its security, intensified by the increased Iranian military presence in the territory of the neighboring country. Since February 2018, there have been several incidents with direct clashes between the Israeli forces and the Iranian armed forces, deployed in Syria. On February 10, an Iranian UAV, which, as it turned out later, was supplied with an explosive charge, was shot down over the territory of Israel. In addition to Israel’s retaliatory strike in February, the most massive Israeli strike was carried out in the early hours of April 9, 2018. Its goal was the Iranian Drone Management Center, located on the Syrian base near the town of Homs, which is run by the Islamic Revolutionary Guard Corps unit, as well as an Iranian air defense system. Iran was forced to admit the death of four of its servicemen. 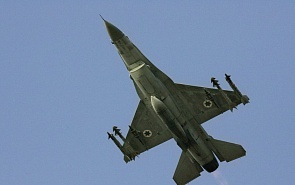 Unlike all previous episodes, when Israel did not assume responsibility for military actions, carried out in violation of the airspace of neighboring countries, last time the representatives of the Israeli Army semi-officially confirmed the fact of the bombing. So far, only a restrained reaction from Moscow followed. President’s spokesman Dmitry Peskov called the incident “worrying,” Minister Lavrov characterized is as “a dangerous development of events,” while Israeli ambassador Gary Koren was summoned to the Foreign Ministry for a conversation. However, it is clear that the intensification of the Israeli-Iranian military confrontation cannot only bring damage to the Russian forces stationed in Syria, but it can also lead to a full-scale war. Given Russia’s interest in reducing tensions around Syria, as well as the close relations of cooperation established with the Iranian leaders, it is likely that Moscow could make efforts to hamper the anti-Israel orientation of the Iranian presence in Syria. Moreover, after the end of hostilities, it will be difficult to justify it in the context of the regional situation as a whole. For Russia, such a position could bring certain dividends, as it would open up opportunities for Israel to help Russia find ways to restore normal relations with the West, primarily with the United States.